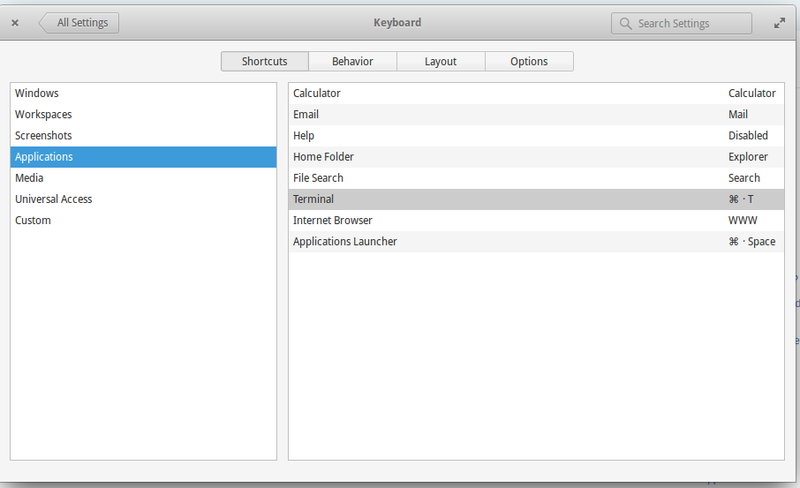 Now select terminal on right side of window, then just press the shortcut key you want to assign. After highlighting terminal on right side of window, press ctrl+Alt+T. That's it. Not the answer you're looking for? Browse other questions tagged pantheon-terminal keyboard keyboard-shortcuts or ask your own question. Is there a task manager for elementary os freya? How can I open a terminal?